In today’s world, there is a strong need for protective services. At Andy Frain Services, we are here to provide you with the very best at a quality price. We provide services at commercial buildings, warehouses, and financial institutions. Our security solutions to airlines, air cargo, marine / cruise terminals, and truck terminals prove to be the best at a quality price. 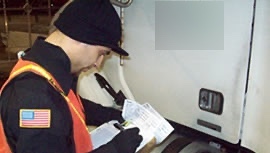 From Airports to FedEx locations, we have structured programs to provide you with the very best. Providing security officers for shopping center facilities in order to successfully improve the safety and security for families, tenants, and all customers. For the past 90 years, Andy Frain Services has been supplying outstanding service and sports & entertainment locations across the country. 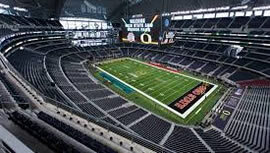 Our sports & entertainment division has multiple leaders with over 30 years experience in crowd control, security and guest services for major sports and concert venues. 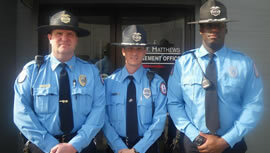 Providing quality security and event staff for special events takes some very unique skills. 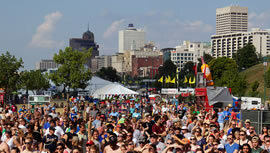 Our ability to quickly hire, train, and mobilize a very large workforce for a one day or week-long event is our expertise. From the U.S. Open (Golf) to the Kentucky Derby, Andy Frain Services has done it all successfully! Founded in 1924, Andy Frain Services’ history and experience is invaluable. We have seen it all and achieved it all wearing our traditional Andy Frain blue and gold. Check out our timeline of events! Welcome to Andy Frain Services...America’s leading provider of integrated solutions to security and events for over 90 years. Our goal to exceed customer expectations is driven by the belief in the dignity of work and respect for the individual. Maintaining a secure, safe environment is critical for every business. Let Andy Frain perform a vulnerability assessment and implement a total solution for your security needs. U.S. Department of Homeland Security SAFETY Act Certified. 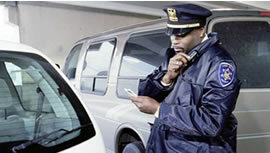 We provide security services to airlines, air cargo, truck terminals, marine and cruise terminals. Uniquely focused on the total fan experience. We may be the first and the last exposure a fan has to your venue. Their protection and satisfaction are our highest priority. Whether it’s a trade show, state fair, the Kentucky Derby, the US Golf Open, The Solheim Cup, or a concert for The Beatles, we’ve done it all with great results. 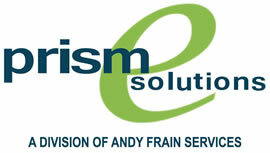 Prism eSolutions, a wholly-owned subsidiary of Andy Frain, provides industry specific audit and incident management tools for many different service sectors.